The Beauty Boardroom: Spa Week at Fresh! 1. Purification - For normal to oily skin featuring the Umbrian Clay Mattifying Skincare. It controls shine, minimizes the appearance of pores and balances. 2. Age-Delay - For dry, dull, or aging skin featuring the Black Tea Age-Delay Skincare. It reduces the appearance of fine lines and wrinkles, firms and retexturizes. 3. Nourishment - For deeply dry or aged skin featuring the Creme Ancienne Skincare. It nourishes, reduces the appearance of wrinkles and smoothes. You can ring the Marylebone store on 020 7486 4100 - make sure you don't miss out on this fabulous facial as well as this opportunity to try out some new skincare products! 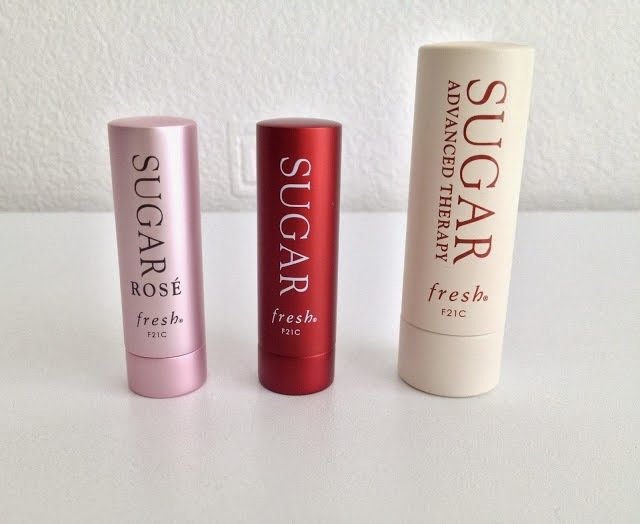 If you want to read a review of the Fresh Sugar lip products below then click here. Any reader of MIM will already know that I swear by the Fresh lip treatments especially the Advanced Therapy one! What's your favourite Fresh product?